The assignment is a full-service undertaking in which ÅF will be responsible for all electrical design, installation, automation and instrumentation. The project starts immediately and the assignment is expected to continue until October 2015. The client is Kraftringen Energi. The plant that is to be modernised comprises a heat pump, gas boiler, electric boiler, hot water storage tank and system for district heating distribution and pressure maintenance. The existing heat pump and electric boiler will be taken out of operation. The current surveillance system will be replaced with a new ABB 800xA system and connected to Kraftringen Energi’s existing 800xA system. This is the second automation assignment in Klippan that Kraftringen Energi has given ÅF. 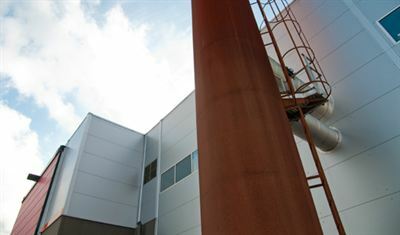 In 2014 ÅF modernised another production plant in Klippan. For further information, please contact Paul Alm, Project Manager at ÅF.